The customs differ, but Valentine’s Day is universally a day for lovers. Flowers, cards and candy—most notably chocolates—are the traditional gifts exchanged between sweethearts, all a part of a holiday nobody really is sure how began. That doesn’t even slow the warm hearted souls who use the day to convey affections more readily than words. St. Valentine’s Day has become the centerpiece of February’s month for romantics. The Catholic church has several different martyred saints named Valentine. One legend says a mean-spirited Emperor Claudius II decreed that only single men be allowed in the military, outlawing marriage. Valentine defied the orders and married young lovers in secret. The story goes further, saying Valentine, while imprisoned, sent the first Valentine’s card to a young girl. Another version of the legend is that the day began to honor Valentine and celebrate a feast in his honor. The event was part of a fertility ritual, where animals were sacrificed and boys then took up goat’s hide strips and slapped the girls. Far from being irritated, the girls welcomed the attention and believed it would make them more fertile in the coming year. Valentine’s Day has evolved into a time for sending special cards to loved ones. Last year, more than one billion cards were sent around the world. Americans know the routine; in Japan, there’s a twist. The traditional Valentine’s Day is a time for women to honor their men with chocolates and affection. Next month, the men are expected to reciprocate to their ladies. Well, more than reciprocate. The Japanese believe the man is to give ten times as much to his lady friend as she did to him. Japanese stores treat Valentine’s as seriously as Christmas, with thousands of customers buying not only for boyfriends and husbands, but in a smaller tradition, buying others to give to co-workers or fellow students. Here on Okinawa, there are plenty of opportunities for guys to honor their ladies this weekend. Hawaiian-owned Sam’s Restaurant Group is heavily into making Valentine’s Day transcend all boundaries, right to the heart of it all. Unforgettable dining experiences are available at all Sam’s Restaurants across the island. Sam’s By the Sea Awase has a “Sweetheart” tenderloin and king crab legs with Hollandaise sauce, Spiced Island Mahi Mahi and Filet Mignon, or Lobster Imperial and Filet Mignon. Prices run from ¥3,700 per person to as little as ¥2,900. Sam’s by the Sea Oroku, which holds a news paper title as “Most Romantic Restaurant in the Pacific”, has a similar special running thrugh the holiday weekend. Other Sam’s Group restaurants, including Maui Steak Houses on Highway 58 and Kokusai in Naha, Sam’s Anchor Inn’s in Ginowan and on Kokusai in Naha, and Sam’s Café just outside Camp Foster, are all welcoming Valentine’s Day celebrants. 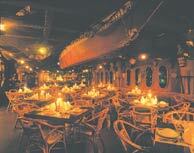 Romantic evenings are set for Sunday and Monday at the Seamen’s Club in Naha, near the airport. Gourmet dinners are $49.95 per couple, including roses for the lady, sweetheart sweets and complimentary red or white wine. Dinners are served 4:30~9pm. Base clubs are offering a variety of different approaches to Valentine’s Celebrations. Marine Corps clubs, including Ocean View at the Beachhead on Camp Schwab, Butler Officers’ Club, The Palms at Camp Hansen, and Kinser Surfside, are all offering specials on Saturday evening. Awase Meadows Restaurant celebrates Valentine’s Day on Monday with a steak and lobster dinner running $26.95 per person.